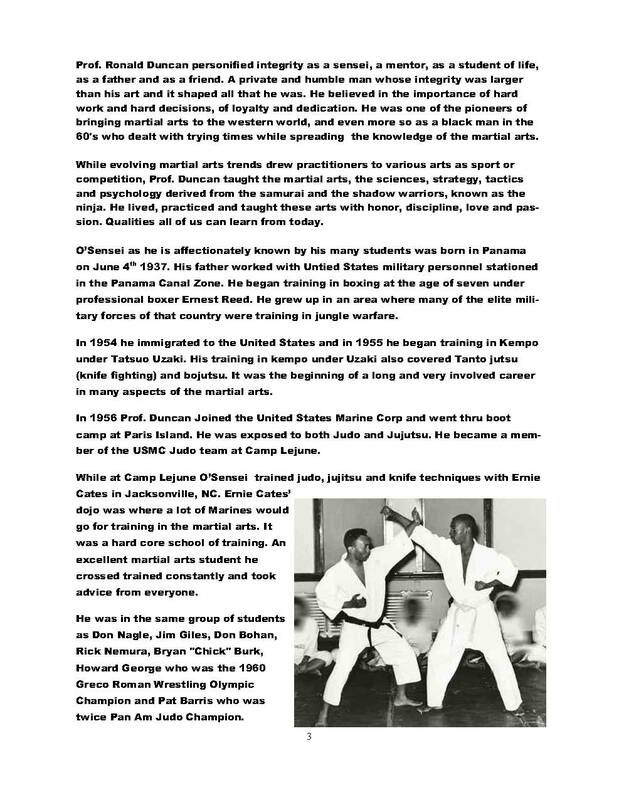 The Way of the Winds™ System was founded by the late Professor Ronald Duncan, who has often been stated to be a practical practitioner of the martial arts. 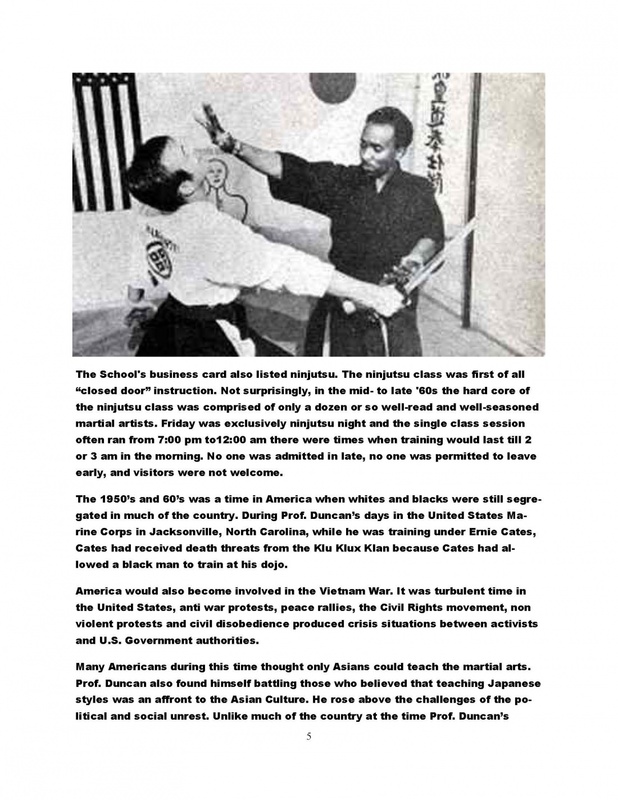 He always strived to broaden and develop his skills and knowledge, from knife throwing to the stealthy discipline of Ninjutsu. 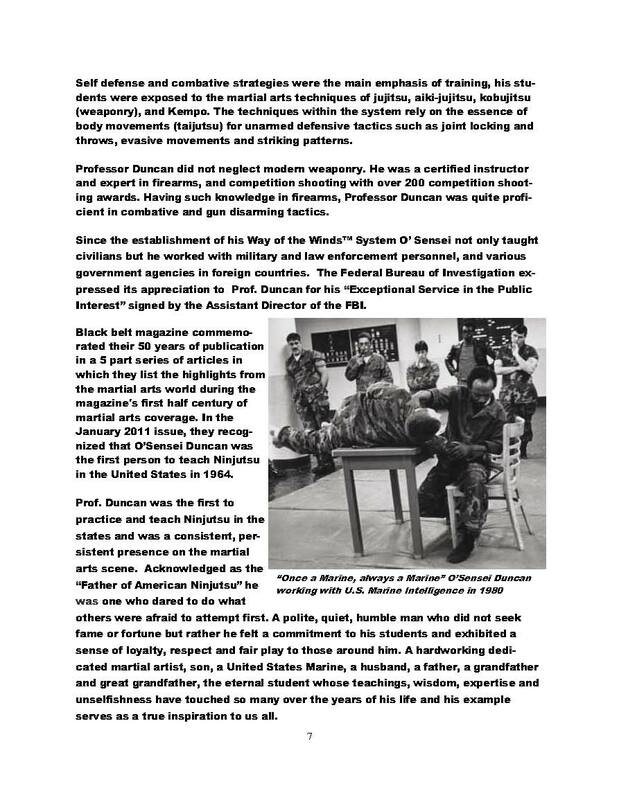 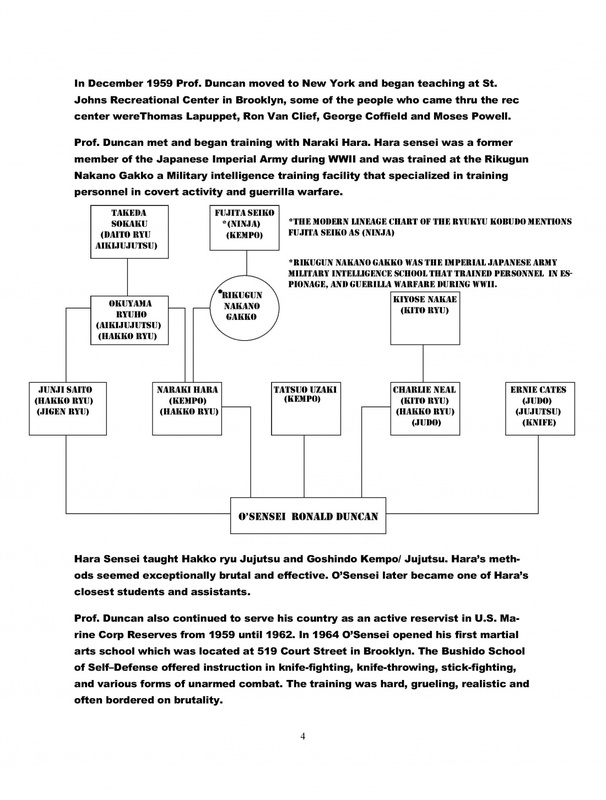 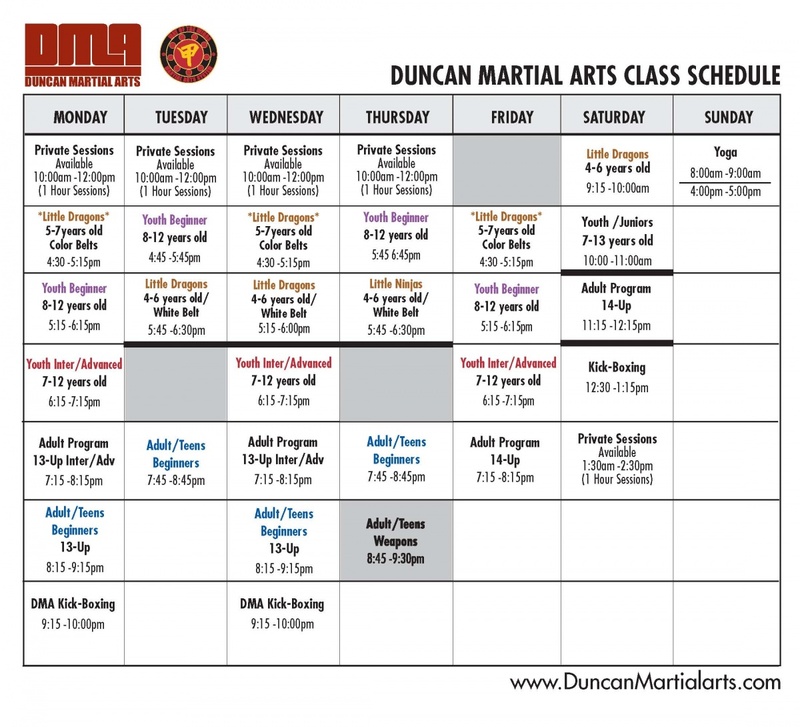 The Way of the Winds™ System not only entails training in Ninjutsu, but also encompasses a comprehensive approach to all of the many facets of Ronald Duncan’s history as a martial artist. 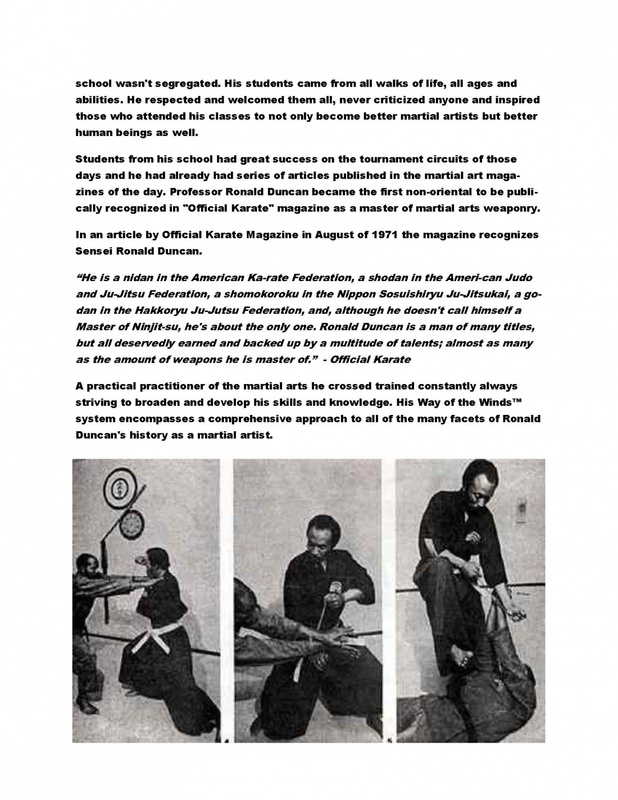 Self defense and combative strategies are the main emphasis of training as students are also exposed to the traditional Budo arts such as Taijutsu /Jujutsu, Aikijujutsu, non-traditional as well as traditional weaponry (Kobujutsu). 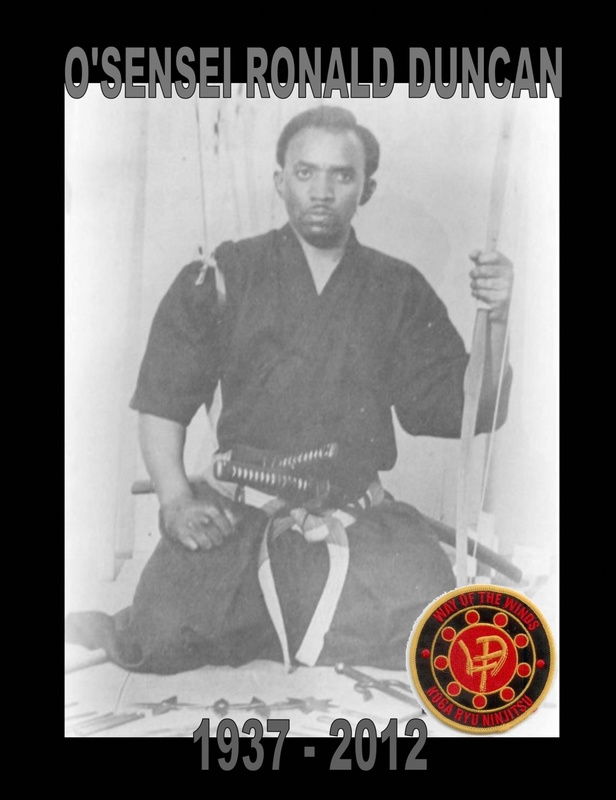 Today Professor Ronald Duncan is acknowledged as the “Father of American Ninjutsu” as well as starting the Koga Ryu movement. 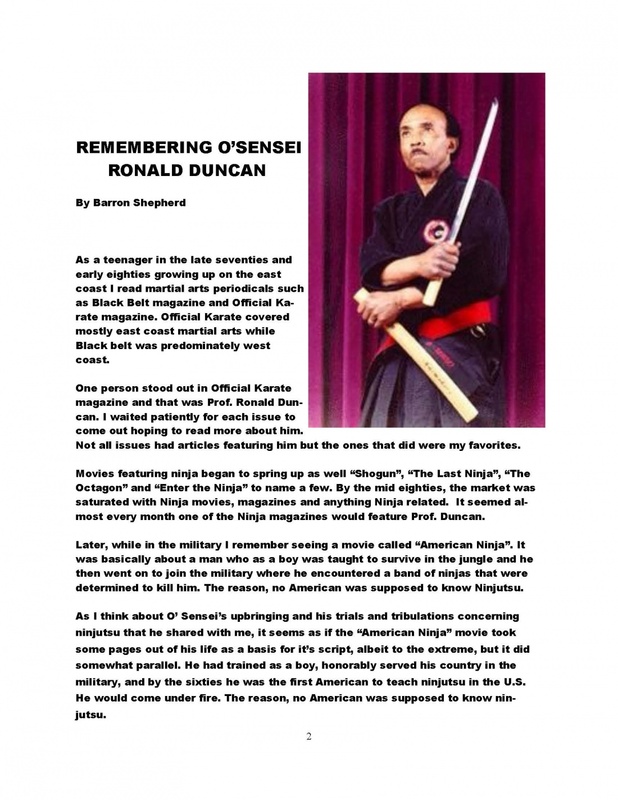 There was a time when Ninjutsu was not being practiced publically in this country, but Ronald Duncan was one of a few individuals who dared to seek out and study the arts of the ninja. 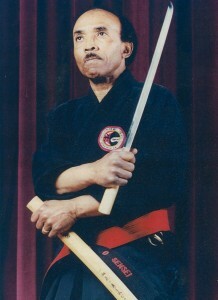 Since then, other Ninjutsu practitioners and schools have emerged.